Haws in the Hedge at Little Linford Wood. The process of readjustment to life in the UK is proving harder than usual this year. As a result the blog is suffering a little, there is simply nothing to write about. 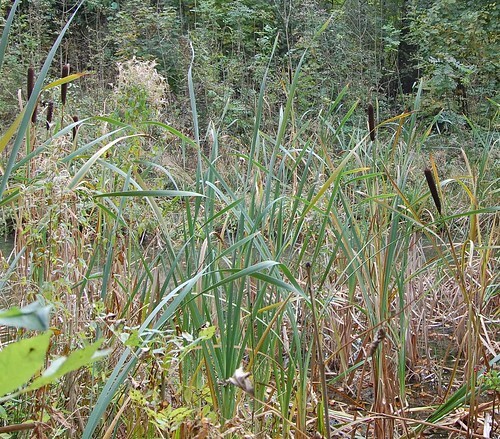 Reedmace in a tiny wildlife pond, often mistakenly called Bulrush. So at the weekend we went for a walk in a local wildlife haven, Little Linford Woods. It's not a large wood but is secluded and managed for wildlife. 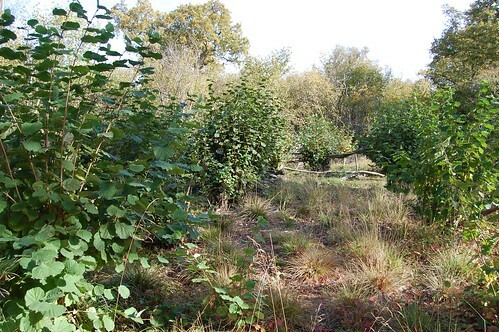 Hazel coppice makes clearings for wild flowers, birds and butterflies. Coppicing adds greatly to the habitat and diversity of wildlife but we were disappointed that this was being carried out in a rather slapdash way without any attempt to foster the ancient skills that made this form of woodland management so beneficial to man and beast. 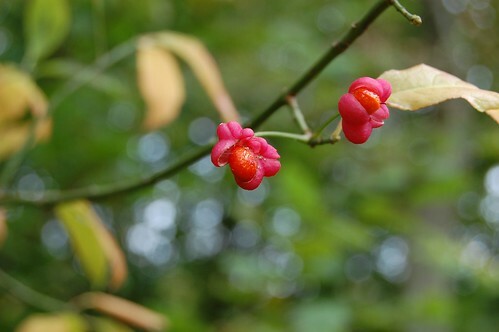 The spindle bush has poisonous berries but very hard wood that was used for making spindles for spinnings and bobbins for textile work. Too late for blackberries but there were many other berries like this spindle bush and guelder rose, as well as lots of haws like the ones at the top of this entry. 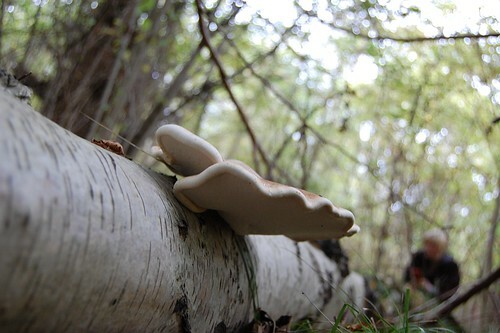 Birch polypore, Ray Mears would use it as tinder. We hoped to find fungus but apart from a few small and fragile toadstools there was nothing of interest except good crops of birch polypore, sadly inedible. Milton Keynes Snow Dome and Theatre dominate the skyline. A lovely place and ideal for a Sunday walk but in Buckinghamshire you're never far from the signs of man. 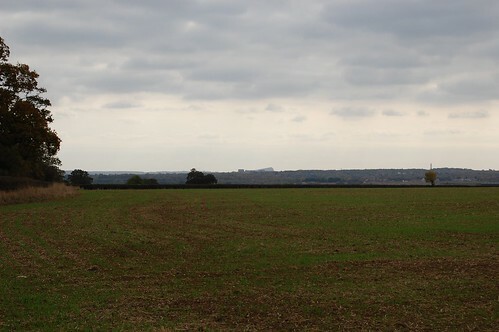 Central Milton Keynes is clearly visible in the distance. Thank you for the pictures and information. 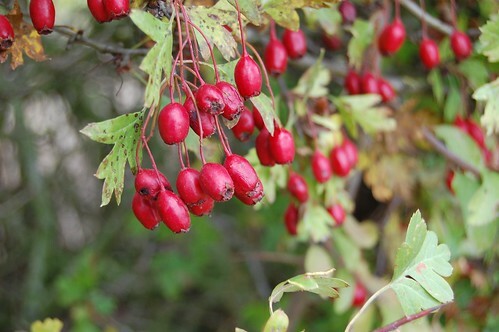 The haws are beautiful - what color! Hi! The haws are very lovely this year but we've just lost all the leaves from the trees and the weather is now heading into winter. Time to hibernate!